News by Britta S., Lindsay M, and Matt S .
It’s time for more mouth-watering handheld fun, as Cooking Mana: Sweet Shop finally leaves Asia with a Western release (both American and European, to boot!). The game was originally released in Japan in 2014 and we’ve been eyeballing it from afar ever since, but now it’s finally time to enjoy Mama’s delicious cooking once again! Sweet Shop is the Cooking Mama we all know and love, minus the meat and plus loads more sugar. Working in a sweet shop (shocking, eh? ), Mama’s goal is to keep customers happy. There are 60 different recipes and a whopping 160 mini-games contained within, each of which requires the player to use their stylus to complete a cooking task. Sweets can then be arrange in the shop. The more sweets Mama cooks, the more her shop expands. Rising Star Games has partnered with Japanese developer Office Create to bring this entry into the Cooking Mama franchise to the world — and we mean everywhere: North America, South America, Europe, Australia, New Zealand, and the Middle East are all included. Cooking Mama: Sweet Shop will be released this coming April, exclusively on the Nintendo 3DS. The game is receiving both a physical and digital release. According to Daedalic, the game will retell the story in a new, interactive way. It is also the first co-operative project between Daedalic Entertainment and Bastei Lübbe, the German giant of popular fiction publishing. The publication of the third novel of the Kingsbridge series will coincide with the game's release. You can watch a recent teaser trailer here. 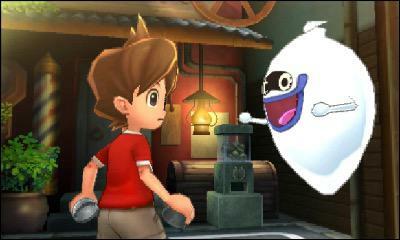 While Yo-Kai Watch 2 has been available in North America (and Australia) since last September and in Japan since July 2014, the two-version sequel has only now been announced to launch for the 3DS in Europe on April 7. You get more than 350 new and returning Yo-Kai in Bony Spirits and Fleshy Souls, with each version featuring Yo-Kai that can only be befriended in their respective games. Team up with up to four players in an all-new local multiplayer mode or challenge your friend’s team over the Internet in two-player battles. In more Yo-Kai Watch news, Disney XD has acquired a second season of the Yo-Kai Watch animated TV show which will premiere this summer. NISA has released a short time lapse video showing a stroke-by-stroke drawing of Ookami, one of the characters by the game. This video serves no real purpose other than to highlight just how good the game's art is. And we're not complaining in the slightest. The art is by a Mr. Takeyasu, and has a beautiful traditional Japan aesthetic that will immediately recall old Japan (which is the point, since that's where the game's set). This art features prominently in the game, as well as in the art book and special materials bonuses for people that pre-order. Watch the trailer, and get very excited!